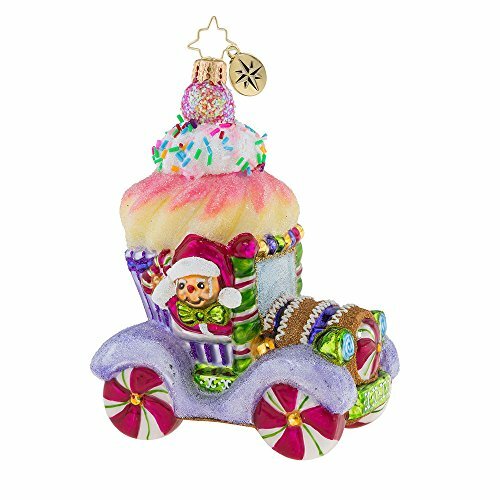 The Christopher Radko Hop In, Cupcake Ornament is a part of the 2018 Candy & Sweets Collection. This ornament features a cupcake inspired buggy. From the window, a gingerbread man dressed in traditional Santa attire beams with delight. This is a perfect addition to any Christmas celebration.